Combine the 1 day Hop On Hop Off Tour with a tour of the San Francisco Bay. Bus portion : Live Commentary and Multilingual audio guide on every other bus on Official City Tour (English, Spanish, German, Mandarin, Italian, Portuguese and Korean). French, Japanese, Korean, German and Taiwanese). This combination of two must-do’s in San Francisco is an experience you do not want to miss! 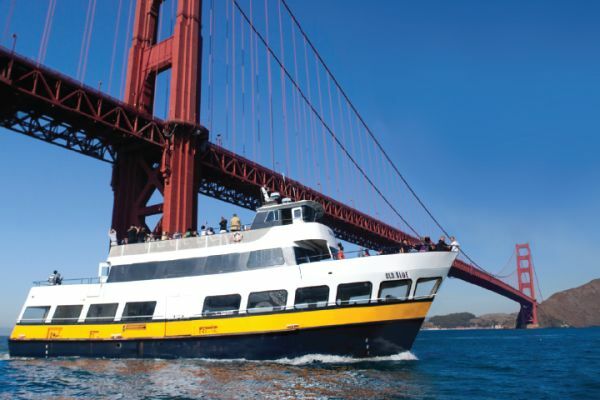 The San Francisco Bay Cruise is one of the most popular boat cruises, taking you along the historic Waterfront for breathtaking views of San Francisco’s major landmarks and the Alcatraz prison.The cruise takes 60-minutes and provides indoor and outdoor seating with full narration describing major landmarks as you sail by them. Before or after taking this cruise, explore the city in depth by hopping on our Double-Decker buses! Our 1 Day Hop-On Hop-Off includes the Official city tour which takes you through the city's landmarks, giving brief trivial history lessons and leisure opportunities. Cross the Golden Gate Bridge, explore Golden Gate Park and the Haight-Ashbury “hippie” district where it’s “Summer of Love” year-round. 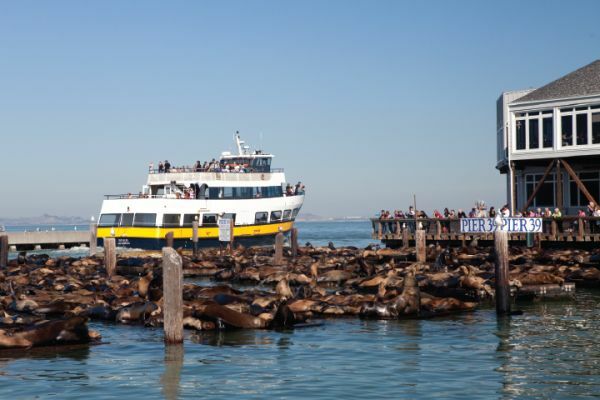 Hop off at Downtown for some retail therapy or at Fisherman’s Wharf to see sealions and eat at famous Pier 39. With this combo, you are sure to get the most out of your San Francisco visit!